If you don’t yet have a plan for 2018, in terms of your startup’s goals, budget and resource allocation, it’s time to get one. The sooner you have a clear sense of what you are setting out to do, the faster you can align any measures that you need to take to make it happen. If you haven’t already, it is time to establish your revenue targets for next year. This is the metric on which all of your other 2018-related targets and decisions should be based. Make sure that your revenue goal is realistic and achievable. Use your revenue goals to determine your demand generation needs for the coming year. Factors such as your quota per sales rep, average deal size and lead to customer conversion rate will affect how many leads you need to generate in order to hit your goal. Once you have determined how many sales-qualified leads you need to generate to reach your desired revenue, you will need to determine your marketing goals beyond the lead target. For example, what percentage of your overall leads will need to come from inbound marketing? From this, you can establish sub-targets, such as overall number of visitors, conversions, marketing qualified leads, etc. that you will need to hit your goals. This should guide budget and resource allocation decisions as well. 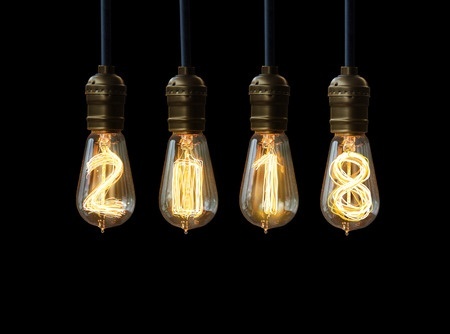 Ready to calculate your marketing goals for 2018? Book some time with me here. Marketing can generate all of the leads in the world, but if sales does not follow up, they are useless. There are many reasons that a breakdown occurs between sales and marketing and it is more common than not that both teams are operating as “silos,” despite the shared goal of generating revenue. In order to address this, it is recommended that marketing and sales teams enter into a service level agreement. Carrying out a successful sales and marketing initiative can only be possible if there is a deep understanding of the customer guiding every touchpoint and interaction. Your customers are everything. If you don’t know them or understand them, you will never be able to meet their needs with the right marketing content, sales conversation or product/service delivery. Don’t make the mistake that many startups make by focusing on the product/service before the customer and his or her needs. When planning for the next cycle, it is always helpful to take a beat to think about what went well over the past year and what could be improved upon in the next. This is also a time when it is helpful to take a deep dive into your website and customer data. Not only will you be informed by the insights hidden within your data, you will be able to establish a baseline for comparing next year’s performance. What’s your plan for 2018? Share your comments below.